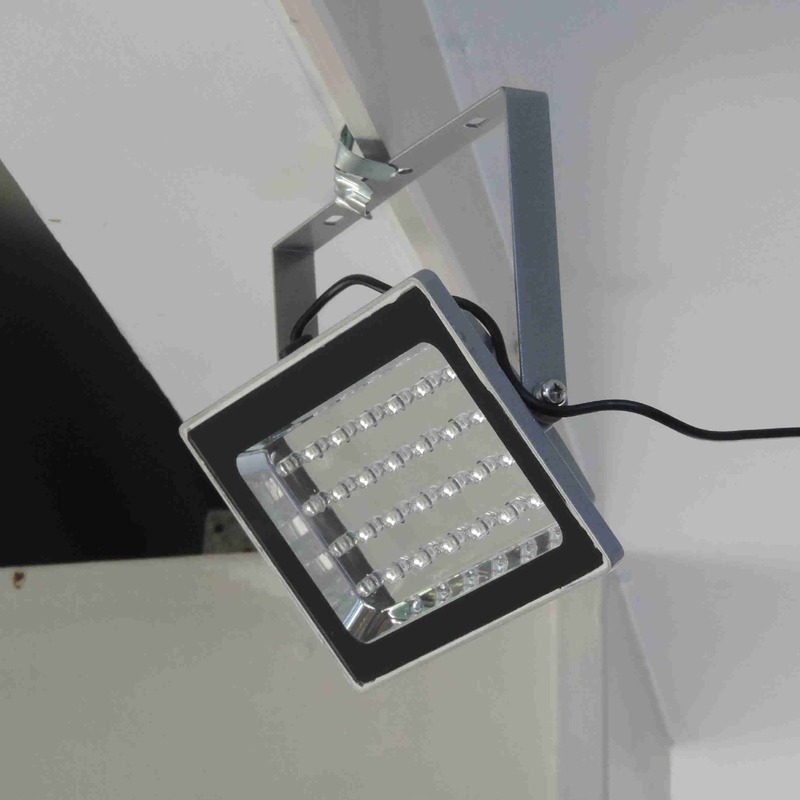 This modern design LED flood light is durable, reliable and practical with the added convenience of remote control operation. 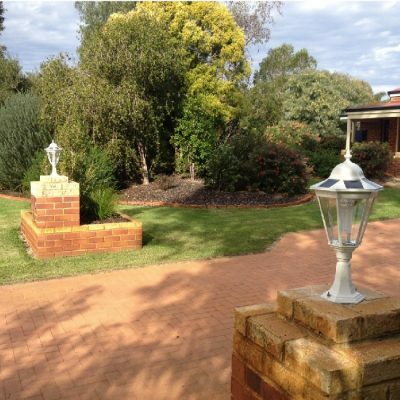 The Botany LED solar flood light is a blend of contemporary design and function. This light offers superior weathering performance, convenient remote control operation and an impressive light output for size. It is suitable for illuminating areas up to 8+m2. 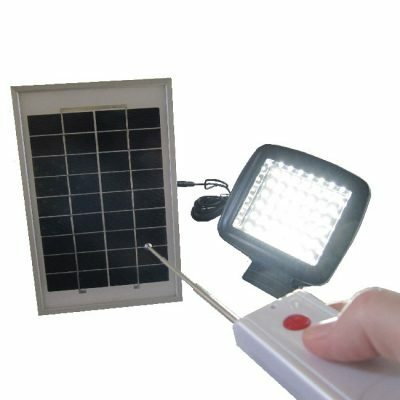 The durable materials and large glass covered solar panel with lithium battery make this solar flood light a reliable and cost effective lighting solution to your outdoor area. The modern, slim design is both pleasing to the eye and space saving. 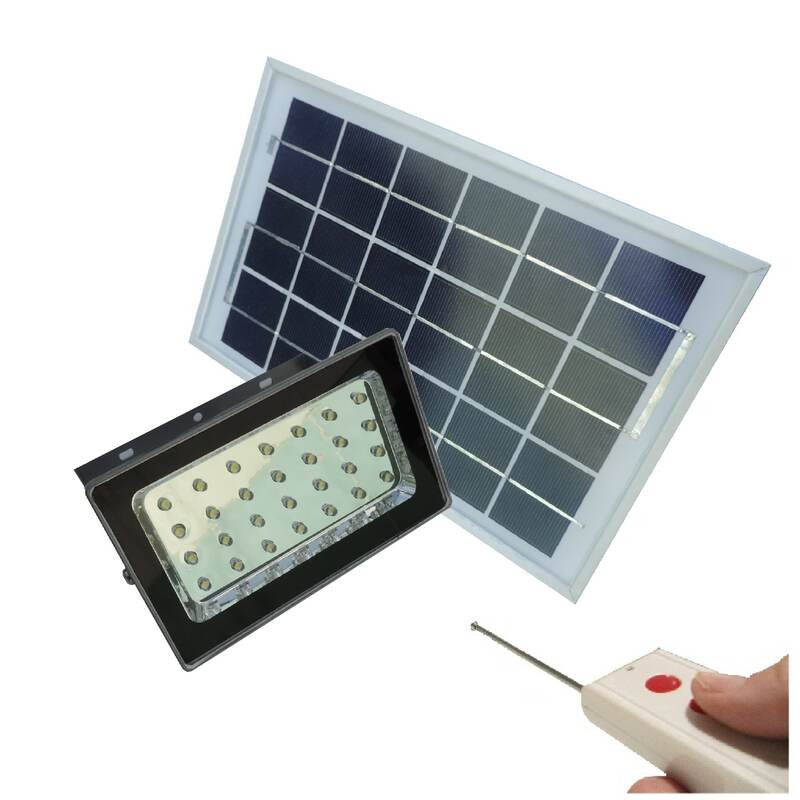 This LED solar flood light also has the additional benefit of replaceable parts: solar panel, light head, battery and cables. 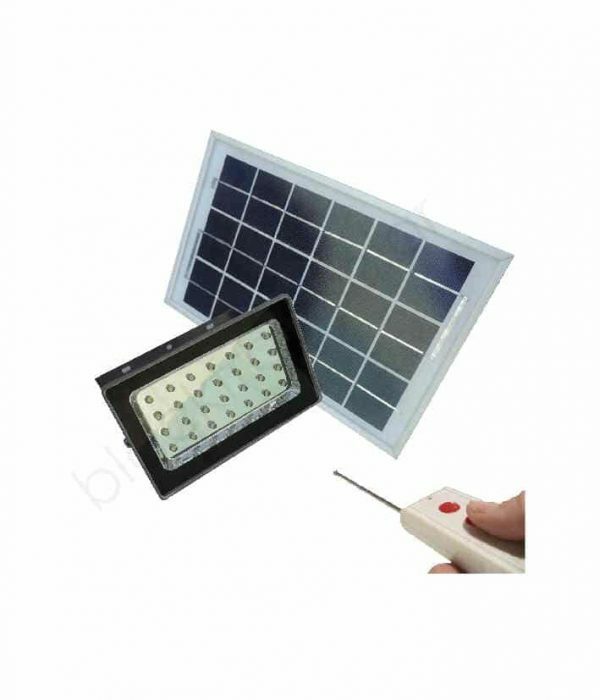 Easy to install and operate, the Botany LED solar flood light is an ideal lighting solution for illuminating areas around the home and garden or as DIY security lighting. Auto on: after dark the Botany will come on automatically each night and remain on until the battery has discharged (approx 7+ hours) or when turned off using the remote control. Manual on: You control when the light switches on (during night-time hours) with the remote control. It will not turn on by itself. Materials like glass, aluminium and stainless steel will outlast plastic composites when exposed to UV light and extreme weather conditions. They are also less likely to fade and become brittle. Separating the solar panel from the actual light head allows the light to be placed where it is most effective, no matter how shaded the position, whilst the solar panel remains in the sun. Lithium batteries have a shorter charge time than lead acid, Ni-MH and Ni-Cd batteries. This means lithium batteries require less exposure to UV light to achieve full charge. Lithium batteries also have a longer battery life (up to 3x that of Ni-MH and Ni-Cd). Can be easily installed by the home handy person. Tools required: drill and screwdriver. All fixings included. The light head and solar panel both have mounting brackets for fixing to a solid surface. Additional 5m waterproof plug in cables are available if you need more cable length between your light head and solar panel. Simply select “parts/extension leads” in the “PRODUCT CATEGORIES” menu at the bottom of this page. Easy installation by home handy person. All fixings included, Light head and solar panel have mounting brackets for installation onto a solid surface.